The New Forest and Hampshire County Show is a wonderful day out in Brockenhurst, a great way to enjoy the countryside in Hampshire. 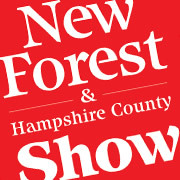 The 2015 The New Forest and Hampshire County Show is scheduled to take place on 28th July to 30th July 2015. If you are planning a trip to the The New Forest and Hampshire County Show or simply holidaying in Hampshire then we have put together a selection of self catering cottages, apartments, holiday flats and lodges below as well as some useful links to B&B's, guest houses and hotels to help you make the most of your stay in Hampshire. The New Forest Show has lots of fun and entertainment for the whole family including countryside traditions and demonstrations, Show Ring displays, Show Gardens Flowers and Vegetables, Animals Galore, Forestry Fin and a Best of British Marquee to mention just a few. The 2012 Show will see the return of the popular Shetland Pony Grand National and the brand new One Man and His Dog (sheep dog demos in the Show Ring). Each day there is the The Heave Horse Musical Drive and the Solent Dog Display team. There is a Children's Zone for all day family fun including face painting and circus workshops. Of course there is no shortage of animals to see including pigs, sheep, rabbits, donkeys, ponies and lots more. As a country show you will not be disappointed with a great selection of activities including Ferret and Terrier racing, fly fishing, falconry and so much more. It goes with out saying that there is lots of food, flowers, art and the WI also adding to a fun packed day. The 2012 Show President is Alan Titchmarsh who will be at the Show on all 3 Show days and will be awrding the Presidents Cup for the best section on the Show Ground. The New Forest and Hampshire County Show can be found near Brockenhurst in Hampshire. Use the map control to zoom in or out. Please confirm the latest travel directions and details on the The New Forest and Hampshire County Show website. If you have been to The New Forest and Hampshire County Show we, and our visitors, would love to hear about it and see some pictures. Tell us about The New Forest and Hampshire County Show so you can help others decide.... is it worth going to, what were the best bits, how was the parking, would you do it again, would you recommend it? The New Forest and Hampshire County Show organiser? 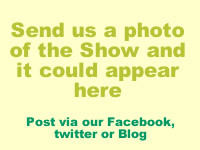 If you are a The New Forest and Hampshire County Show organiser and would like to add more information to this page it is completely free, we want nothing in return, just tell us about it via our Facebook page our Google+ page or our Wordpress blog and we will do the rest. 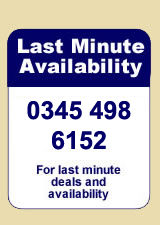 If you are looking for some last minute Hampshire self catering apartment, flats or cottages then we recommend you call 0844 847 1143 for a great selection of properties and the latest availability and deals.